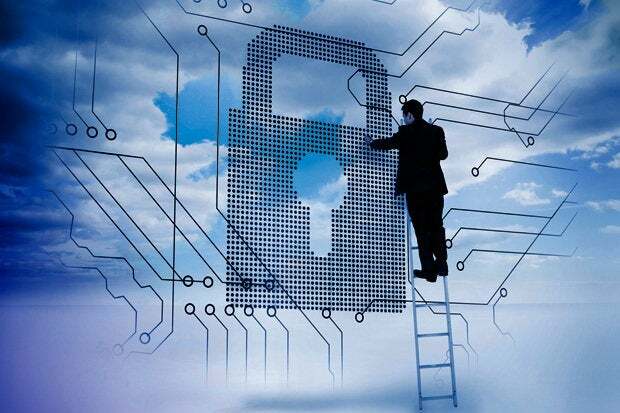 Cloud access security brokers have come a long way in a few years and can be an effective way to manage authentication and encryption across cloud and on-premise systems. As cloud computing took off, enterprises needed a way to deliver consistent security across multiple clouds and protecting everyone using their data. CASBs arrived to help give organizations much deeper visibility into cloud and software-as-a-service (SaaS) usage — down to individual file names and data elements. Most of the main-line security vendors have purchased CASB solutions: Oracle (Palerra), Cisco (CloudLock), IBM (Gravitant), Microsoft (Adallom), Forcepoint (Skyfence), Proofpoint (FireLayers), Symantec (Elastica and Perspecsys) and McAfee (Skyhigh Networks). The three independent vendors still standing include CipherCloud, Netskope, and Bitglass. CASBs have matured, although this is a matter of degree since even the longest-running vendors have only been selling products for a few years. They have also evolved to the point where many analysts feel CASB will soon be just as important as firewalls once were back in the day when PCs were being bought by the truckloads. Gartner predicts that by 2020, more enterprises will use CASBs than not, which represents a big jump from the 10 percent that used them at the end of 2017. Several years ago, many enterprises purchased CASBs to stem the tide of what was then called shadow IT and is now considering standard operating procedure in many businesses. IT managers would get a call from their commercial Dropbox sales rep and be told that hundreds of their users were using personal Dropbox accounts, which was often news that they didn’t want to hear. That was the initial sales pitch by the CASB vendors: we can discover where all your cloud data lies and help to protect it. Traditional security tools didn’t provide this visibility, especially when the network traffic never was seen by the corporate data center. “I want to have control over my data, even when it isn’t residing in my own machines,” said Steve Riley of Gartner. The first attempts at using CASBs were eye-opening for many corporate IT managers. When they were first deployed, IT would find ten times the number of cloud services in use than they thought they had estimated, according to Riley. That turned into a big selling point. That was great then, but today’s CASBs are more fully-featured and integrated into the alphabet soup of enterprise security. Many vendors offer ways to connect their product to email servers to track and prevent data leakage (either deliberate or unintentional), web application gateway devices, identity management systems, and single sign on tools. Enterprise IT managers want deeper control over their cloud data beyond the initial login, and so have come to want more from their authentication tools than a simple binary yes or no to vet user logins, what is called risk-based or adaptive authentication. This means they want to step up authentication challenges to ensure that their most sensitive content doesn’t end up in criminal hands. Several of the CASB vendors integrate these tools into their products now. In addition, the quick adoption of cloud computing has made CASBs more compelling. Jay Barbour talked about the shared security model between cloud and on-premises applications in this blog post. He is the director of security product management at Masergy which sells managed CASB services from several vendors. “As soon as the cloud application count goes above one or two, having employees managing their own identities and passwords quickly become a tangle of security risks and poor user experience,” he wrote. Just a few years ago, you could find a few companies moving to Google or Microsoft cloud-based email, but that was just the beginning of the migration. Microsoft offered attractive licensing models to encourage more enterprises toward using Office 365 and away from installing its software. Many corporations accelerated their purchases of cloud resources from multiple providers, so a tool such as CASB was needed to bridge the security gaps between resources spread across AWS and Azure, for example. As companies moved their resources out of their data centers – or eliminated them entirely – CASBs became essential security tools. Finally, the threat landscape has evolved, even from just a few years ago. Now we have more blended threats using multiple exploits along with numerous obfuscation technologies to make malware harder to find. More subtle phishing attacks are getting harder to recognize, even by experienced IT staff, or that exploit very subtle features of cloud services that can quickly go viral and infect millions of users. Four things also helped the CASB cause: First was its quick learning curve by security personnel. 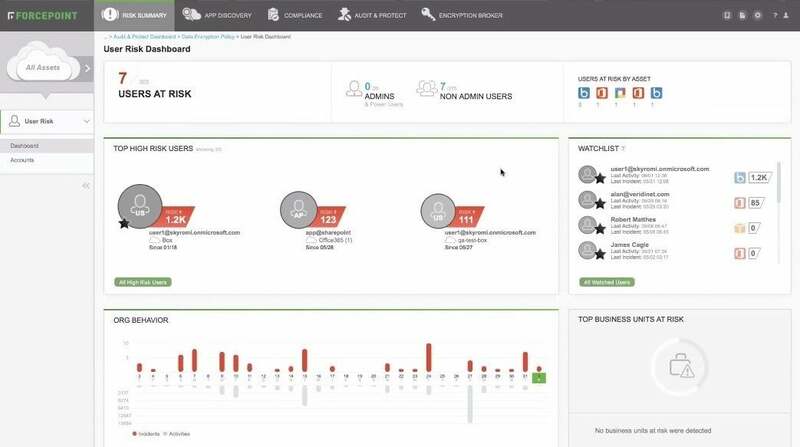 These tools are relatively easy to bring online, and the dashboards make their reports more understandable, certainly easier than trying to order firewall rule sets or create appropriate policies on DLP products. Second was that they became more inclusive in terms of applications support. The early products had a limited portfolio of apps they could protect: That has widened considerably. Forcepoint, for example, claims that it can spin up support for any custom app within a few days’ effort. Third was the beginnings of a managed service provider business with Masergy reselling several CASB solutions, including Bitglass. This is appealing for smaller-sized businesses or companies looking to deploy more quickly a CASB tool. Given that most of the CASB products mostly operate in the cloud, it can still be helpful to have someone like Masergy for your 24/7security monitoring. API control, which provides visibility into data already stored in cloud repositories or data that is used within a cloud process that never enters a corporate network. Some vendors break up this functionality into multiple products: Cisco only supports API access in its CASB and provides proxies via its Umbrella product. Others, like Microsoft, require a series of prerequisite products before you can use its CASB product. Before you get started in your evaluation, check out one of the CASB vendors’ free service plan to discover your cloud portfolio. Cofense has Cloudseeker, which also performs this service (but doesn’t sell a CASB solution). Most vendors offer the first month with a limited number of apps or services for free. This will give you an idea of the scale and scope of your exposure and how the tool works within your infrastructure. (Links to the free trials are at the end of this article. Pick your most critical apps to pilot a CASB project initially and run a product through its paces with this smaller set before you widen its scope. Figure out if you want to integrate with existing identity-as-a-service (IDaaS)/single sign-on (SSO) tools. Don’t view cloud access as a simple "yes" or "no" authentication event. Understand when and how you will need more granular authentication and whether you want a CASB to deliver this functionality. Understand if and how your product supports field-level data encryption. Look at the multimode CASBs so you can have flexibility for complete coverage across as many possible use cases, and make sure you understand a product’s limitations in each of the three operating modes. Examine if your product integrates with your secure web gateways, application firewalls, data loss prevention tools and email providers. Examine these features offered by the CASB versus what you already have in place. Calculate the costs. Gartner puts the range between $15/user/year for simple installations of just a few cloud apps to a more robust coverage for multimode unlimited cloud apps at $85/user/year. The links below go to free trial pages where available. This story, "What is a CASB? What you need to know before you buy" was originally published by Network World.